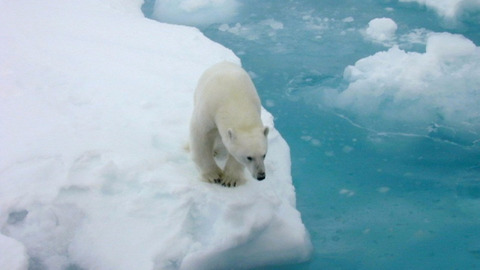 Without action on climate change, say goodbye to polar bears – Darryl Fears. Global climate change, of course, is completely out of the control of Fish and Wildlife, a division of the Interior Department. An international effort to address the issue was signed about a year ago in Paris, but President-elect Donald Trump has questioned U.S. participation in a treaty that nearly 190 governments signed. Trump has waffled in his perspective on climate change. When asked about the human link to climate change following his election, he said, “I think there is some connectivity. . . . It depends on how much.” He also said he would keep an open mind about the international climate accord and whether his administration will withdraw from it. Scientists say about 19 populations make up an estimated 25,000 to 31,000 bears, including a sub population of about 3,000 that roam Alaska. Estimates of their increases and declines go up and down depending on which population is being counted. But researchers say 80 percent of the populations will almost certainly collapse if sea ice continues to decline. Air temperatures at the top of the world are rising twice as fast as temperatures in lower latitudes, resulting in significant ice melt, according to a report by the National Oceanic and Atmospheric Administration. Under the effects of global warming, Alaska recorded temperatures nearly 20 degrees higher than the January average as warm air flowed north, NOAA said in an Arctic Report Card. Previous PostHas Income Inequality Finally Got To Top Of The IMF Agenda? – Christian Proaño. Next PostHow Donald Trump could create a financial crisis – Matt O’Brien.